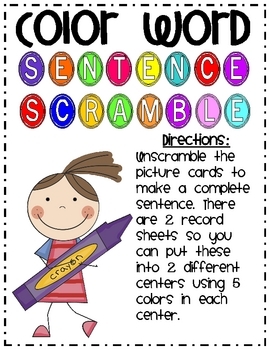 Students will unscramble sentences that use the color words. 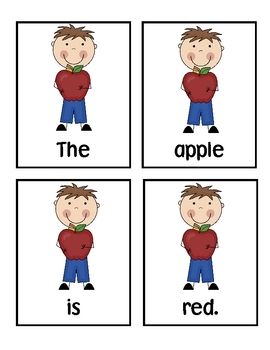 Each sentence will have picture clues to go with each color. 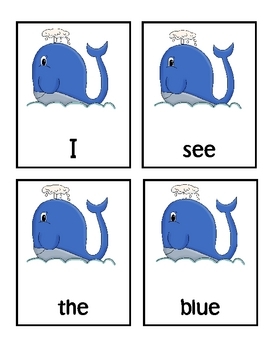 There are ten different sentences using each of the color words. 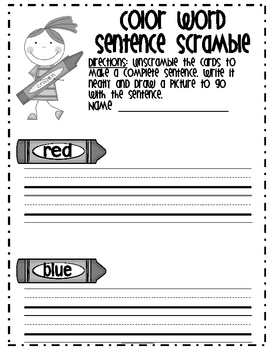 This activity is designed to use at 2 different centers using 5 sentences in each center with a record sheet to go with. They will record their sentences using correct mechanics on the record sheet.